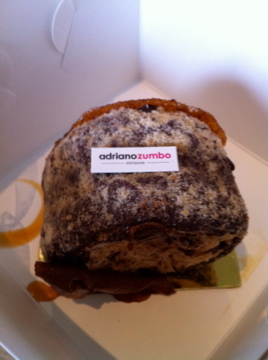 Whisked away to Sydney… | 15,000kms of Food! 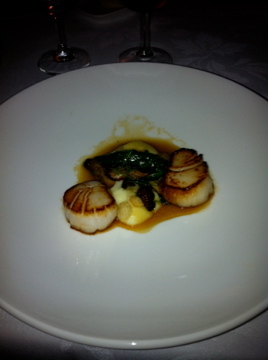 I am a lucky girl indeed, to be flown up to Sydney for my birthday to dine at Guillaume at Bennelong. I do love the French. 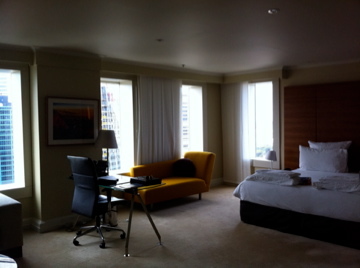 We stayed at the Hilton Sydney, which is a favorite of mine. I love the minimalist rooms, the location and the general aesthetic of the hotel. Our room was upgraded, and it included a television in the bath! Finding Guillaume was a tad tricky. Between the Japanese tourist, the harbour bridge, and the Opera House, it was not easy spotting the signs and entrance to the restaurant. However, when we did eventually find it, we were promptly ushered to our table with stunning views of the bridge. 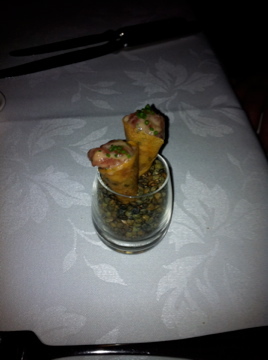 Amuse bouche was a tuna tartare, which was buttery in texture and melts in your mouth. The tuna was housed in a crunch cone, which added a lovely crunch to it. The first course was a delightful salmon sashimi, to which my partner commented “they made cold fish taste good”. 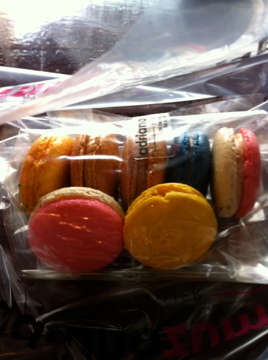 My opinion was that it was delicious, but perhaps a bit too many peripherals. As Coco Chanel said, when you walk out of the house, take one accessory off! Next up we had a “Royale of Asparagus”, which was perfect! 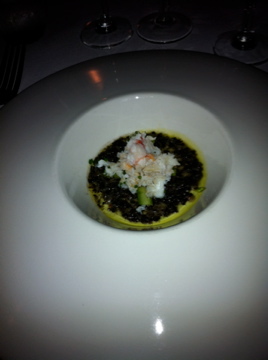 Sprinkling of crab meat atop asparagus pieces, and custard… perfect flavour, texture and balance. The token scallops on cauliflower puree was next, which in my opinion was executed beautifully, however, it’s a dish that’s been done lots before and therefore perfection is expected. The next dish, was the surprise star of the night. 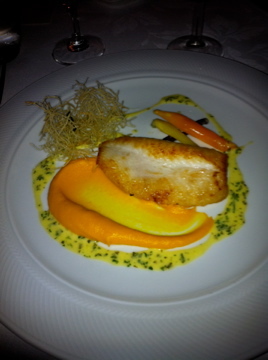 John Dory with carrots. It was cooked perfectly, and tasted amazing. 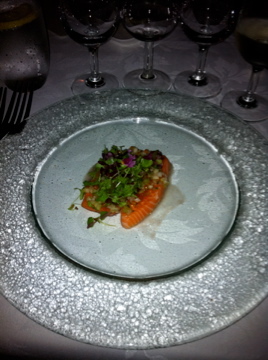 Loved that the dish had 3 different types of carrots. Last but not least, comes the meat. I hate to say, but I was terribly disappointed with the duck dish. I adore duck and pinot noir, but this dish did not do anything for me. I was so excited about the duck dish, that I didn’t even take a photo! I so desperately want to love it… Redemption came in the form of wagyu. 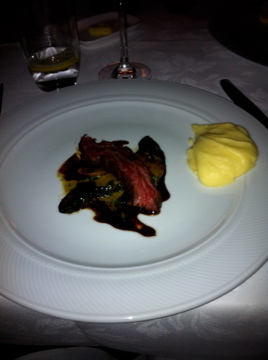 The final dish, 10 grams of wagyu packed a serious punch. The mushrooms and mash were to die for. 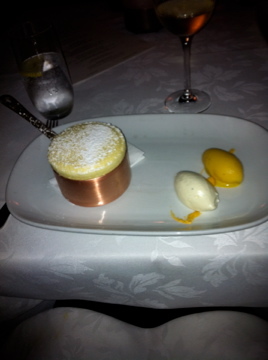 Last but not least, came dessert in the form of a passionfruit souffle. 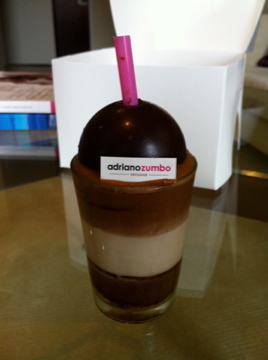 Tasty and light, a great ending to a great dinner.